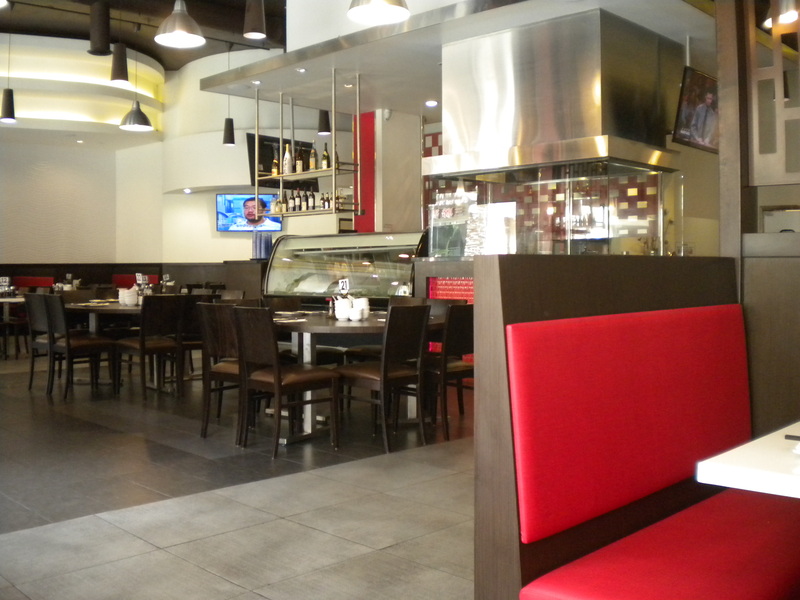 I had walked past the 101 Noodle Express in Monterey Park quite a few times, usually after having Dim Sum at the Atlantic Seafood Restaurant upstairs. 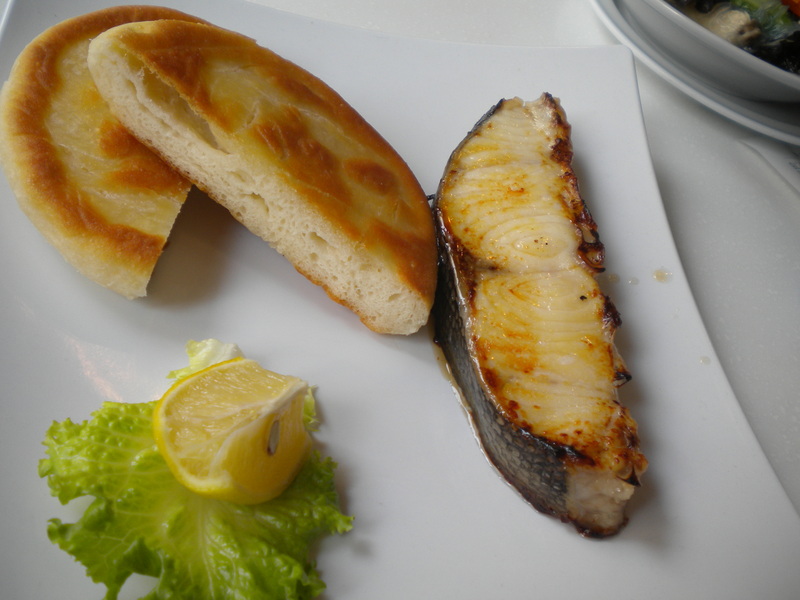 My friend had pointed out the fact that the restaurant serves a Chilean Sea Bass for lunch that is quite decent. I decided to give it a try that morning since I had not have Sea bass for a long time. We arrived there just when it opened. The place is rather large inside. It is fairly new and modern, and felt very spacious. We both ordered the Sea Bass lunch special which came with a side of vegetable stew, with a choice of either rice or their Home Style Bread. We decided on the Vegetable Dumplings as appetizer. The fillet of Sea bass was a bit on the small side but tender. There was not a whole lot of flavor to it, however. I actually enjoyed the side of vegetable stew more than the main dish. 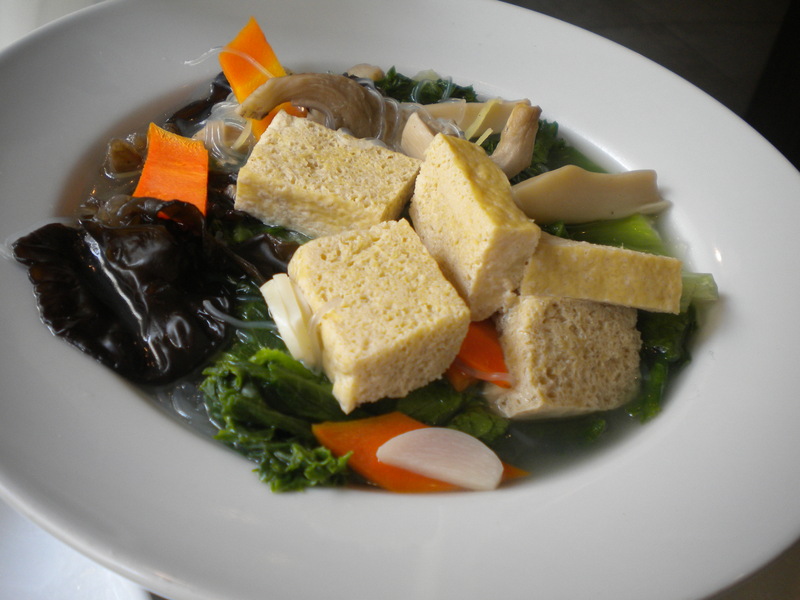 It came in a sizable white bowl with tofu, black fungus, carrots, mushrooms, mung bean noodles, and Chinese cabbage. I did like the fact that this vegetable stew was rather bland in taste, it felt almost healthy to eat something that was not laden with salt and MSG. 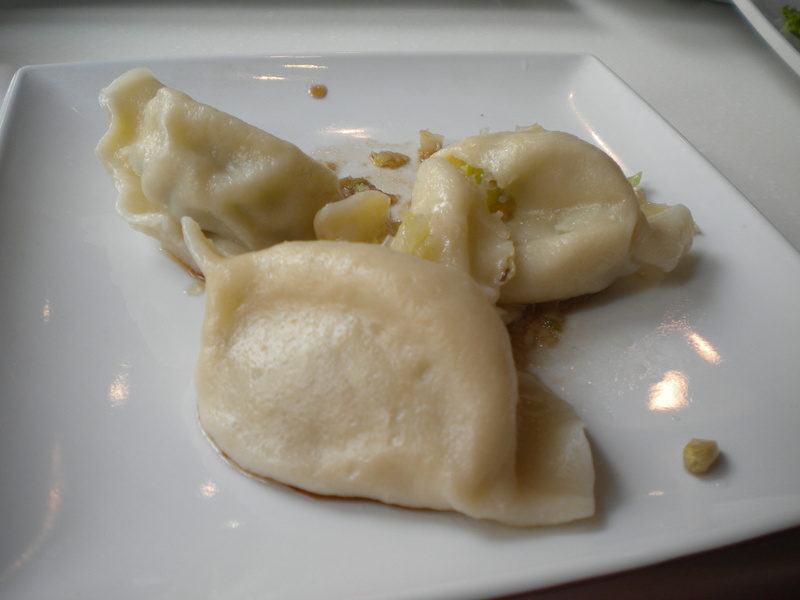 The skin of the Vegetable Dumplings were a little too thick, and lacking in any distinct flavor. While the restaurant is very comfortable and the waiters were attentive, the food items that I tried were probably slightly insipid for patrons who desire stronger flavors. Well, this one threw me for a bit of a loop. When I saw the name of the restaurant, I thought your post would be all about noodle soups! The food here looks quite good.